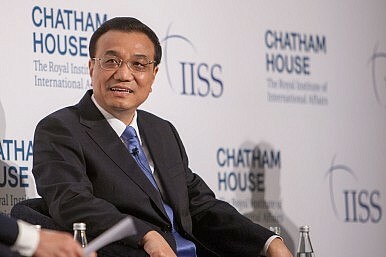 At the Summer Davos forum, China’s premier responded to concerns about China’s economic strength. On Wednesday, Chinese Premier Li Keqiang reassured investors and business leaders that China’s economy is still on track, and that it remains a welcoming environment for foreign firms. Li was speaking at the “Annual Meeting of the New Champions 2014,” a yearly summit organized by the World Economic Forum with a specific focus on the “next generation of fast-growing enterprises.” China hosts the meeting each year, with this year’s forum being held in Tianjin. The gathering is often referred to as the “Summer Davos” forum, a reference to the World Economic Forum’s annual winter meeting in Davos, Switzerland. Li Keqiang delivered the keynote speech to open the Summer Davos forum, which he used as an opportunity to reassure financial and business leaders that “China has all the confidence, ability and resources to realize its major economic and social goals for 2014,” according to Xinhua. Li emphasized that China is not “distracted by the slight short-term fluctuations of individual indicators,” some of which (such as electricity consumption rates) seem to indicate a sharp slowdown in growth. Li’s message was designed to restore confidence in the Chinese economy, and also to make it clear that Beijing is not shying away from its vision of structural reform to the Chinese economy. Signs of a slowdown in China were “inevitable and within our expectation,” Li said. He noted that China still expects to reach its 7.5 percent growth target for the year, although Li also emphasized that the government does not see this as an absolute goal. Beijing will be satisfied if China’s economic growth “in within the proper range,” as Li indicated it was. Li addressed these concerns as well. He defended the anti-monopoly probes by saying that they target both domestic and foreign firms. In fact, according to Li, only around 10 percent of the companies involved are foreign. Li reassured foreign companies that China would seek to open further to foreign investment and business operations. He also promised to sternly penalize intellectual property rights infringement, another perennial concern of foreign firms operating in China.